After a frenzied week of revamping their Affordable Care Act replacement bill, House Republicans once again stalled a planned vote on the healthcare reform measure. The revised American Health Care Act will not be brought to the floor on Friday or Saturday as planned. "As soon as we have the votes, we'll vote on it," House Majority Leader Kevin McCarthy, (R-Calif.) told reporters late Thursday after leaving a meeting of the House GOP leadership that lasted nearly two hours. 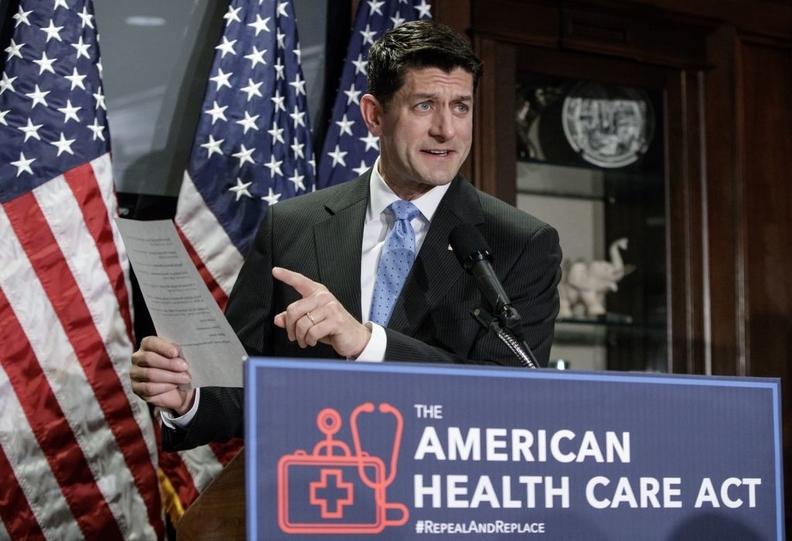 Although the ultra-conservative House Freedom Caucus announced it would back the altered proposal, which came closer to gutting Obamacare, moderate Republicans balked at the deeper cuts and prevented GOP leadership from securing the votes necessary to pass the much maligned bill. The latest version of Obamacare repeal and replace would leave it up to the states on how much insurers can charge older customers beginning next year. In 2020, it would allow states to apply for a waiver to change the 10 essential health benefits now required to be part of nearly all health insurance plans. The goal of any of these changes, according to the bill's authors, is to reduce healthcare premiums for the majority of customers. But Democrats remain solidly against the AHCA. They claim the bill's provisions will hamper healthcare coverage and increase costs. House Minority Leader Nancy Pelosi, D-Calif., told reporters that for Republicans, voting for the bill "is going to be doo-doo stuck to their shoe for a long time." Some moderate Republicans publicly said they would vote against the revised AHCA bill, citing fears that people with serious illnesses could struggle to gain insurance coverage under the new reforms. It is also unclear whether the revised plan would be able to pass the Senate. President Donald Trump had pushed House leadership to pass the bill by Saturday — his 100th day in office. Speaker Paul Ryan (R-Wis.) told reporters the AHCA vote would happen "when we're ready to go," despite the White House pressure. Instead, congressional lawmakers will focus Friday on a one-week funding extension to keep the federal government's doors open past the current spending bill's looming deadline. Last month, Ryan withdrew the AHCA just minutes before a planned floor vote. GOP leadership in the House frantically tried to muster the votes to save the bill during floor discussions despite a growing number of defections from moderates and ultra-conservatives.